Hot and Cold Elephants » Harrumph! 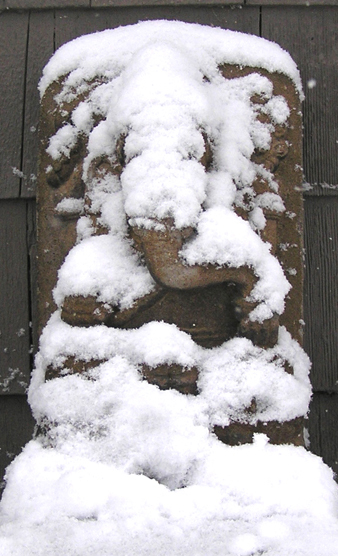 On my stoop, even the gods are subject to the elements. On Sunday, sunny Sunday, my elephant-headed chum, Ganesha fairly glowed, as in the image at the left. During this morning’s storm, he made us cold to look at him, as at the right. 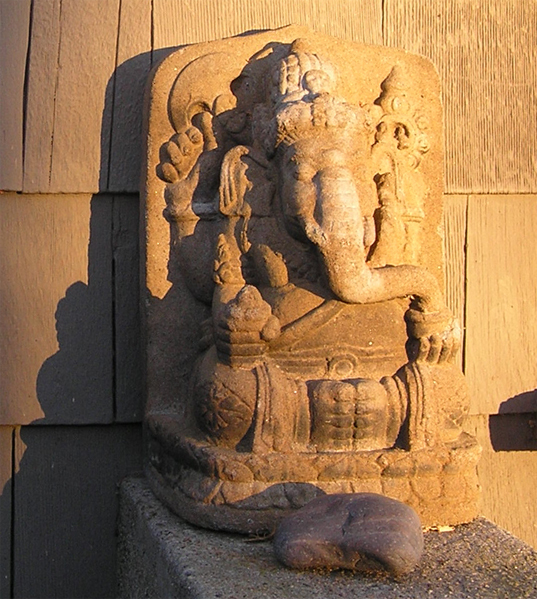 Traditionally, Hindus do not start any new project or endeavor without consulting and praying to Ganesha. He also is the protector of writers. I guess he should be the blogger’s guy, eh?